Israel has proposed evicting Jews in dozens of communities in Judea and Samaria but leaving the communities intact, claims a PA official. Israel has proposed evicting Jews from their homes in dozens of communities in Judea and Samaria but leaving the actual communities intact, an official with the Palestinian Authority (PA) told the Associated Press on Wednesday. The official said that Israel has also offered leaving military bases in the region as part of a package to establish a Palestinian state in provisional borders. The official told AP that the proposal is unacceptable to the PA. The official spoke on condition of anonymity because Israel and the PA have pledged to U.S. Secretary of State John Kerry not to discuss the content of their talks with the media. He said formal talks on borders have not yet started, and that negotiations have focused on security matters. He also told AP the Israelis want to retain control of Judea and Samaria, keep early-warning stations on hilltops, and retain military bases near the Jordanian border. "Israel is using the issue of security to take land," he said, according to AP. "From the general discussions we had in the last couple of weeks, the Israelis have shown no intention to dismantle any settlement." The current proposals indicated that Israel would seek to retain control over about 40 percent of Judea and Samaria, said the PA official. For years, the PA has demanded a state based on the borders that existed before the 1967 Six Day War. Israel refuses, as these borders, which were termed “Auschwitz borders” by the late former Foreign Minister Abba Eban, are indefensible and would guarantee its destruction. The idea of a Palestinian state in temporary borders would give the PA independence, while leaving the issues such as the fate of Jerusalem and the “right of return” to later negotiations. Talks resumed in late July after a push by Kerry. 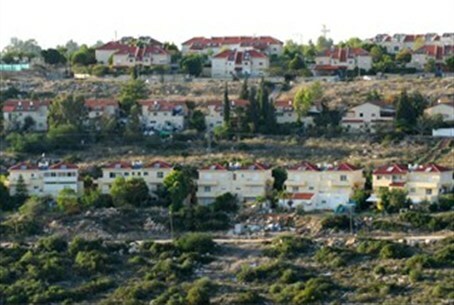 Ahead of the first bilateral meetings in Jerusalem, Israel announced plans to build more than 2,000 Jewish homes in Judea and Samaria. The move angered PA negotiators, despite the fact that they were informed of the building prior to the latest round of talks, and despite the fact that the construction will take place in areas which even the PA has accepted in previous negotiations will be within Israeli borders. In the previous round of talks, conducted in 2008 under then-Prime Minister Ehud Olmert, Israel offered to withdraw from roughly 94 percent of Judea and Samaria and compensate the PA with the equivalent of 6 percent through a "land swap" that would allow Israel to keep major communities in the region. Olmert also proposed international administration of Jerusalem's holy sites. PA Chairman Mahmoud Abbas never formally responded to Olmert’s offer, essentially rejecting it. He has refused for years to come back to the negotiating table and has instead imposed preconditions on talks, including a demand that Israel release terrorists who were jailed before 1993, freeze construction in Judea and Samaria (after refusing to come to the table when Israel froze construction in 2010) and even present a map of the future Palestinian state before any negotiations take place. The official said PA negotiators have proposed resuming peace talks from the point they broke off with Olmert. Current Prime Minister Binyamin Netanyahu has said he is not obligated to accept Olmert's proposals. "It was agreed between the sides that all public discussion about the negotiations would be through the Americans," the Israeli official told AP, speaking on condition of anonymity because he was not authorized to talk to the media about the issue. Netanyahu's office declined comment, citing the pledge not to discuss the negotiations in public. Likewise, there was no immediate U.S. comment. Before the current round of talks began, it was claimed that Abbas had agreed to drop most of his preconditions. However, the PA’s chief negotiator Saeb Erekat recently revealed that the PA would not have returned to the negotiating table with Israel had it not received a letter of assurances from the United States, guaranteeing its main negotiating preconditions.